I think I would hire Andrew Farago for any job out there -- roughly equivalent to his current position at the Cartoon Art Museum or far removed, you name it -- based solely on what it was like to interview him for this series. It was so easy, the answers came back in such a full, furious state, that I nearly forgot that I interviewed him. He's that San Francisco institution's curator/gallery manager, and describes his duties below. The success of comics enterprises rises and falls on the skill and dedication of key employees like Farago, and in a day where jobs in comics are scarce I wanted to interview him about his. 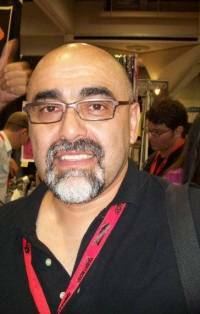 Farago's also a comics writer, a cartoonist and fine writer about comics and cartooning. His latest, The Looney Tunes Treasury is one of those perfect gift-item style books for a specific kind of fan, of which Farago is one -- but the prose has enough clarity I had no problem devouring and enjoying the volume. It's worth noting that as we're publishing this back and forth the Cartoon Art Museum is starting its yearly fundraising efforts. I encourage everyone to visit and consider giving. TOM SPURGEON: Andrew, one of the underlying themes of this year's series is jobs, and you have one of the more interesting jobs in comics. What's an average day -- or a better-than-average day -- like for you at the Museum? Are there ways that it feels very much like a job and ways that it maybe doesn't? ANDREW FARAGO: I've been with the Cartoon Art Museum for ten years now, including a little over a year as a volunteer, and for the most part, it's my dream job. On an average day, I've got about a half-hour commute into San Francisco from my home in Berkeley, and I'll spend the day on some combination of correspondence, managing the museum's archives, planning upcoming exhibitions anywhere from three months to three years in advance, public relations, planning events, programming and classes, and dealing with anything unexpected that crops up throughout the day. 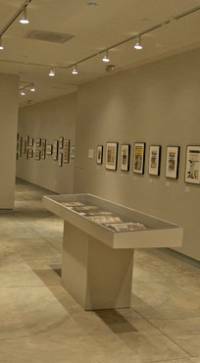 Roughly ten weeks out of each year are spent installing new exhibitions, which generally includes matting and framing artwork, writing gallery text, painting the walls, and planning the design and layout of each show. When I'm curating an exhibition, the selection of artwork usually takes place a month or two before our opening date, and a big part of the job is writing, calling and wheedling artists and collectors into sending their work to us on time. We've actually had artists bail out less than two months before an exhibition is scheduled to start, so we've had a few exhibitions that I've had to pull together in just a couple of weeks, and it's my job to make sure that nothing looks like it was assembled in just a couple of weeks. I'm very fortunate in that I often find myself in situations where I can't believe that I'm getting paid for this. Joining the National Cartoonists Society and meeting about 90 percent of the strip cartoonists I grew up reading in a social context has been incredibly cool. It changes your perspective when you flip through the comics section and realize that you've got good drinking stories about half the artists on the page. I've had dinner with Gahan Wilson, walked around Rockefeller Center with Larry Hama (which would have made 12-year-old me's head explode), toured the offices of Mad Magazine, Marvel Comics and DC Comics, shingled a roof with Jeff Keane, given museum tours to Art Spiegelman and Mo Willems, had tea with Hayao Miyazaki, and went to a Simpsons script read-through in Los Angeles earlier this month thanks to Tom Gammill, whom I met through the NCS. I've honestly given up on ever making a wish list of comic/cartoon things I'd like to do, because I've gotten to do so many amazing things as a result of this job. If I'm hanging out in a pub with Alan Moore and Scooby-Doo next year, I don't think I'll be all that surprised. On the downside, when you're working for a non-profit that you really believe in, it's easy to find yourself working 50 or more hours a week, tackling extra projects on weekends, and never quite being off-duty. And there's a lot of paperwork, fundraising and grant writing, which balances out the more exciting aspects of the job. My family are the only non-cartoonists in my address book, so I feel like I'm on the clock even when I'm hanging out with friends. SPURGEON: To build from there a bit, how have you guys done in the current economy? I think of you as a group about which comics may sometimes forget a bit, but I also think of you as one of the better, more established groups. What's the state of the museum? FARAGO: The state of the museum, almost always, is "hanging in there." We're always fundraising, we're always writing grants, we're always on a tight budget, but somehow we've managed to survive for more than 25 years. The past three years have been especially tough, with fewer and fewer grants available and less and less money available from those sources, less disposable income in our patrons' pockets, and the loss of our Executive Director, Rod Gilchrist, to cancer in early 2009. There's never a great time to be an arts-related non-profit, and there's been a lot of belt-tightening in that sector in recent years. Oddly enough, I think we've weathered the bad economy better than a lot of other non-profits and museums because we're so used to running everything on a tight budget with the bare minimum number of full-time staff. Our current Executive Director, Summerlea Kashar, has been with the museum longer than I have, and she and the board of directors are the reason that we're talking about the museum in the present tense. We're in the midst of our big annual fund drive right now, and that accounts for a pretty major portion of our yearly operating budget. We're looking for straight-up cash donations, people becoming Cartoon Art Museum members, and get involved in other ways, such as volunteering, donating artwork for auctions, sponsoring exhibitions, renting the museum for corporate events or private parties... seriously, just drop me a line and I'll let you know how you can help keep us around for another 25 years. And I'd love to have this job for another 25 years, honestly. Probably longer. SPURGEON: I got to visit the museum in 2010 for the first time in probably a dozen years, and I had some specific questions about its operation. For one thing, when did you move to ground floor occupancy and -- if it's even something you know -- has that made a difference for the museum? What about the obvious gentrification of the neighborhood surrounding it? The neighborhood was a lot less stabby this time around. Finally, you seem to have what many successful museums have -- a thriving store. Is that the case? How do the store and the events play alongside more traditional fundraising avenues to keep the place afloat? The neighborhood, known as the Yerba Buena Arts District, is one of the nicest areas of San Francisco. Old-timers have told me that the whole neighborhood used to be mostly warehouses just a couple of decades ago, but the new San Francisco Museum of Modern Art and the nearby Pac Bell/SBC Global/AT&T Park really changed the landscape. Our immediate neighbors include The Museum of the African Diaspora, SF Camerawork, The GLBT Historical Society, Zeum, The Museum of Craft and Folk Art, The California Historical Society, The Contemporary Jewish Museum and The Yerba Buena Center for the Arts, all of which make it a very easy place to spend the day in San Francisco. About half of these have come in since we moved in, and it's been great to see this neighborhood develop. The growth of the bookstore over the past few years has been a real team effort. As visitors to the museum prior to 2008 will remember, our initial setup involved subletting the bookstore to Foto-Grafix books, run by Jun Ishimuro, who'd run the store for the building's previous tenants, the Ansel Adams Center for Photography. As a result, the store was a kind of funky combination of high-end photography books, old Cartoon Art Museum exhibition catalogs, some books relating to current exhibitions and whatever cool stuff Jun could find at Last Gasp. When the Foto-Grafix contract came up for renewal, our late Executive Director, Rod Gilchrist, decided that the museum should take over the store and he and the board of directors drew up a plan, found an experienced bookstore manager, Heather Plunkett, and arranged for our current, 100% cartoons and comics shop that we've got now. Special events and exhibitions drive sales at the store quite a bit. We get a lot of walk-in traffic, having a really sharp street-level storefront, but like every business right now, you've got to do everything possible to keep customers coming back. With us, it's making sure that we've got at least one or two artists coming in every month, and having a full complement of weekend programs to ensure that we'll have repeat visitors. In the past two years, we've hosted events with Dave Gibbons, Chip Kidd, Ted Rall, Paul Pope and Pixar's Teddy Newton, receptions for each of our major exhibitions and our Small Press Spotlight artists, and we've done some great comics history lectures from people like Nancy Goldstein and longtime museum supporter Trina Robbins. For next year, I'm already making plans with Berkeley Breathed and Stephan Pastis. It's one of many great things about being in San Francisco. Artists pass through this city all the time, and a lot of them actually approach us about events, which helps make my job a lot easier. SPURGEON: When I was there the museum had an Ed Hannigan exhibit going, and I was impressed because as much I'd never thought about an Ed Hannigan exhibit I'll be damned if you didn't have the three pieces I decided that you needed to have when I heard you had one up. That's a very specific and lovely thing to do, that kind of exhibit. How much of what the Museum does works this area where it's maybe not the most profitable exhibit one can imagine, but it's one still worth doing? How much are you allowed the leeway of personal expression through these exhibits? FARAGO: A lion's share of the credit for the Ed Hannigan exhibition goes to Jim McLauchlin and Christina Arrobio-Zeitsman of the Hero Initiative. We've done a number of events with the Comic Book Legal Defense Fund over the year, and I'd always wanted to do something with the Hero Initiative. Jim called and kicked around a few ideas, and he mentioned that he had access to a lot of great Hannigan material, since he was in the process of assembling the book Ed Hannigan: Covered as a Hero/Marvel fundraiser for Ed. There was some wiggle room in the exhibition schedule, so I shifted a few things around and we were able to launch the exhibition prior to WonderCon 2010, and it went over really well. With an exhibition like that, I feel like more of an editor or an assistant curator. Jim, Ed, and Al Milgrom tracked down most of the material, I offered suggestions along the way as far as what would look best on our walls, and when all of the artwork arrived, I determined what would make the final cut and how to best present the art. I usually write the wall text for our exhibitions, too, often with editorial assistance from my wife, Shaenon K. Garrity. 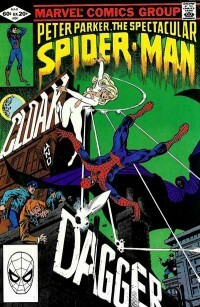 The exhibitions have to be accessible to people who've never seen original comic art before and may have never thought about this as an art form, but the content has to be strong enough to impress people like me, who've read every issue of Spectacular Spider-Man and will correct you if you misidentify an inker. As far as personal expression goes, I'd say there's a lot of it, but I do my best to make sure that's not immediately obvious to anyone but me. By virtue of selecting the exhibitions that I do, that's already putting my personal stamp on the museum, and in addition to that, every exhibition I curate goes through several rounds of revisions, so what ultimately ends up on the wall is the Batman exhibition that I want to see. Or the Spain Rodriguez exhibition that I want to see. Or Nina Paley, or Eric Drooker, or autobiographical comics by Jewish women. SPURGEON: Forgive me for asking this about the Looney Tunes book, because I'm sure you've answered it a bunch of times -- but as explicitly as you can, how did that project germinate and how did you get the gig? FARAGO: Insight Editions, a publisher based in nearby San Rafael, had acquired the license to create books based on various Hanna-Barbera and Warner Bros. characters. A former museum board member, Mark Burstein, was writing and editing books for them, and he put them in touch with me in the hopes that we'd have pieces in our archives that they could reproduce in some of their animation books. Two of their editors visited the museum, we selected and scanned some pieces, and I figured that was the end of it. 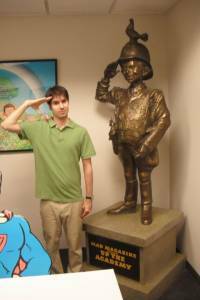 A bit later in the year, Mark contacted me because he was assisting Jerry Beck with his new book, The 100 Greatest Looney Tunes. 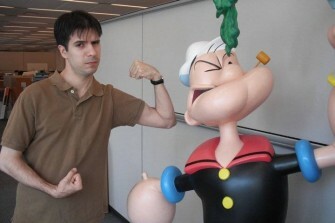 Fans and historians had already compiled the list of the 100 greatest, so Mark was lining up people to write short essays on each of the cartoons. Right off the bat, they'd gotten some animators like Eric Goldberg, historians such as Michael Barrier and Charles Solomon, and cartoonists including Jeff Smith, Mo Willems and Stephan Pastis. I figured that Mark was checking in to see if I could recommend some other contributors, and it was a nice surprise to find out that he actually wanted me to write a piece for the book. My first piece was on one of my all-time favorites, Friz Freleng's Little Red Riding Rabbit. That went well enough that they let me write another piece, on Chuck Jones' Drip-Along Daffy. 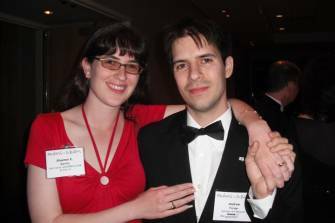 Mark was a fan of Shaenon's writing, too, so he invited her to contribute two essays to the book. We actually broke one of our freelancing rules by writing those free of charge, but I thought it would be good for the Cartoon Art Museum for me to get involved with the project, and I really, really wanted to have my name attached to a Looney Tunes book. I'm an admirer of Jerry Beck's work, too, so that was another selling point. Not long after that, Insight Editions editor Kevin Toyama called me up to discuss The Looney Tunes Treasury. One of my favorite animation art books of the past five years was Jerry Beck's Hanna-Barbera Treasury, so I'd pretty much signed on as soon as he mentioned the title. Kevin's basic pitch was that there are already a lot of really well written, really thorough Warner Bros. history books, which, for the most part, appeal to serious animation buffs. He wanted something accessible to readers of all ages, including casual Looney Tunes fans, but with enough history and content to appeal to those fans who've read all of Jerry Beck's books and have all of the DVD box sets. That all sounded pretty good to me. Then Kevin mentioned that they wanted to book to be written as first-person accounts from each major character, and as many of the minor characters as we could fit in. I forget his exact wording on this, but he basically told me, "If you do this well, it's going to be a really fun book. If you screw it up, though, it could be terrible." It was the type of assignment that appealed to me for a lot of reasons, not the least of which was that I'd have to spend all of my evenings for a couple of months watching and re-watching my favorite Looney Tunes while taking copious notes on all of the characters and their dialogue. You know you've done something right in your life when watching Daffy Duck cartoons all night long is part of your job. So, yeah, I watched a lot of cartoons, read all of the history books, watched any documentary footage I could find, and figured out what I wanted to say about each character's history. Whenever possible, I incorporated actual dialogue from the cartoons, sometimes even simple phrases that most animation fans won't even recognize as coming from the classic cartoons. In some cases, cartoons like What's Up Doc? already fit the template I wanted, with Bugs Bunny recounting his Hollywood career to an entertainment reporter, and that really helped give me direction. My dad grew up in the 1940s and saw a lot of the classic Looney Tunes during their first theatrical run, so my whole family grew up with an appreciation of those cartoons. And my mom is a recently retired English teacher, so I had that extra incentive to make sure that the characters sounded like themselves, and to make sure that I turned in a quality manuscript. I've gotten a lot of great feedback on the book, including kind words from people in the animation industry and glowing reviews from some of the sons and daughters of the original Termite Terrace gang, which has been very reassuring. Getting a thumbs-up from them, as well as my brothers and my college roommate, let me know that I'd done right by the characters. SPURGEON: Does your interest in comics extend into an interest in animation? Do you see them as existing on the same continuum? That was a pretty common view back in the 1970s with comics scholars, but one that seems to have fallen slightly from favor now. 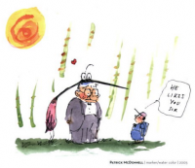 FARAGO: Again, this falls under that "I can't believe I'm getting paid for this" category, but I feel it's really important for me to keep up on as many aspects of cartooning as possible. That means keeping up on animation, reading The New Yorker and Mad Magazine, making regular trips to the comic shop, checking out any webcomics that people recommend, poking around at flea markets, used bookstores and eBay, and going to as many conventions as I can fit into my schedule and budget. I've been an animation fan for most of my life, and I'm sure that when you get down to it, just about everyone in comics had at least some exposure to animation early in his life. When I was a kid, the only way to see Disney movies was when they turned up in theaters, and I think they went in seven-year cycles. If you missed Bambi when it came to the next town, you'd probably outgrow it by the next time it came around. 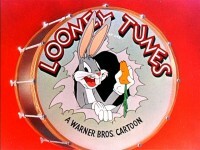 In addition to that, as I mentioned, I was a Looney Tunes junkie. And, like most kids my age, I watched a whole lot of cartoons in the 1980s that, in retrospect, were actually pretty terrible. I don't think that's really too unusual, and I'd bet nine out of ten people my age had at least that level of exposure to cartoons growing up, unless they had those hippie parents who didn't allow them to watch TV at home. 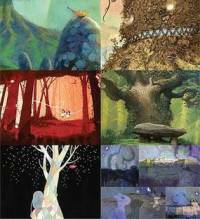 I love animation, and will watch just about anything if it looks like it's going to be interesting. I spent a year reviewing short films for Animation World Network, and am still on call for occasional reporting for them. That was an eye-opener, since I learned a lot about short films that fly completely under the general public's radar. This past October, I attended the Ottawa International Animation Festival, and that was another great opportunity to see shorts and features that might briefly get noticed when the Academy Award nominations are announced. For that festival, by the way, I curated my first video exhibition, "Californimation," a spotlight on animated shorts produced by artists from the San Francisco Bay Area. I absolutely see animation and comics as being part of the same continuum, but I'm in kind of a unique position in that I follow all of these different aspects of cartooning as closely as possible, and I've got friends in all of these different industries. One of the interesting things about that, to me, anyway, is how many misconceptions each field has about the others. Comic book artists think comic strip artists have it made, strip artists want to work on animated features, and I think a lot of people working on animated features are envious of the autonomy that indie comic book creators have. And they'd chuck it all in a second to get a cartoon published in The New Yorker. Still, I think that crossover between all of these fields is higher than it's ever been. Patrick McDonnell drew concept art for UP, Mo Willems drew a week of guest strips for Hilary Price's Rhymes with Orange, Dan Clowes appeared in an episode of The Simpsons, Jerome Opeña snuck Lark Pien's Long Tail Kitty, Debbie Huey's Bumperboy, Thien Pham's Air, and Wahab Algarmi's Society of Unordinary Young Ladies into Uncanny X-Force, and Berkeley Breathed's got a Disney movie coming out next year. The combination of artistic restlessness and the difficulty in making a living in any one field means that we'll probably see a lot more of these unexpected crossovers in the future. Me, I've got some great ideas for the Spider-Man newspaper strip, a good dozen Marvel and DC stories I'd like to pitch, several creator-owned comics I want to tackle, I'd love to get something in Mad someday, and I've got another 50 exhibitions I want to assemble for the Cartoon Art Museum. If I can get through a quarter of my to-do list in the next decade, I'll be happy. SPURGEON: In addition to it being written in the characters' voice, the distinguishing characteristic of the book is its pop-up aspects, all of this extra material kind of attached to its page. How did that part of the book develop, and how much input did you have. There are two comics included in that group, and I wondered if you could talk about how they were selected and how they reproduced at that tiny size so well. FARAGO: Most -- just about one hundred percent, actually -- of the credit for that goes to Insight Editions, who handled the book design. I think that Iain Morris was responsible for most of the art direction, Kevin Toyama had a fair amount of input, and Warner Bros. provided their take on everything along the way. My contribution was basically offering advice based on what I'd enjoyed in similar art books, and suggesting all of the things that ultimately proved unworkable. "Wouldn't it be cool if a voice chip belted out 'My Ragtime Gal' every time you opened up to the Michigan J. Frog page?" "How about an anvil?" I think the comic reprints were chosen based on the cover illustrations and featured characters. Insight Editions' earlier Hanna-Barbera Treasury went with the same mini format, too. Binding in full-size reprints would have driven up the cover price, as well, so that was another factor in printing them smaller and including them as more of an art object. 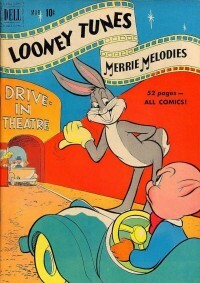 I think there's a possibility of a full-blown Looney Tunes comic book collection down the road, though, and that would be printed at or close to full size. I should also mention that about halfway through the writing of the book, Insight struck a deal with Running Press/Perseus Books in which Insight handled the editorial and packaging duties while Running Press published it and handled all of the press and distribution. Insight got another project or two in exchange, and Running Press got me and an Oscar Gamble rookie card. SPURGEON: You talk a great deal in your introduction about characterization and direction. Can you point to specific examples in the Looney Tunes oeuvre of excellence in each, right down to a moment or a scene? I know that's something that would be inappropriate for the book, but I was hoping you could describe your understanding of those concepts here. FARAGO: You know that thing they say about a good actor electrifying his audience with the raise of an eyebrow? During their peak years, and I'd say the studio was pretty much untouchable from the early 1940s through the mid-1950s, there was a lot of wonderful acting from all of the Looney Tunes characters. Just thinking of some of the non-verbal bits, I could probably go on for pages. There's that little flick of the tongue that Daffy does when he's absolutely disgusted by Elmer's stupidity in "Duck! Rabbit, Duck!" Yosemite Sam's totally deadpan expression as he tap dances into an open mine shaft in "Bugs Bunny Rides Again" kills me every single time I watch it, without fail. Any slow burn from Papa Bear in the Three Bears cartoons. In the hands of lesser directors and animators, these gags might still work, but they manage to make you believe in these characters and fully invest yourself in them in less than seven minutes. About one minute into "One Froggy Evening," you've got the whole story and the rest of the picture is Chuck Jones and Michael Maltese wringing every last bit of frustration out of one man's efforts to cash in on a singing frog. What they did at Warner Bros. better than anywhere else is that they brought together a lot of talented people, gave them some deadlines and a budget, and turned them loose to create some of the funniest, most timeless cartoons of all time. They couldn't hope to compete with Disney when it came to technical innovations, but when it came to humor, nobody could touch the Warner Bros. animators. As an aside, if I could work any place, at any time in history, Termite Terrace during the 1940s is just about the top of my list. 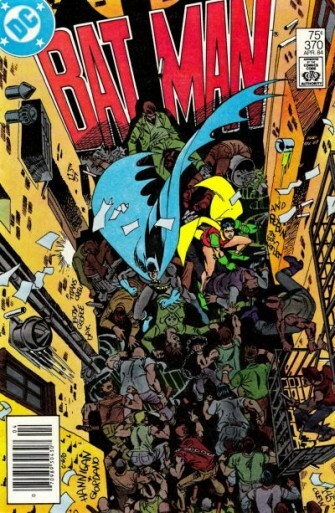 The Marvel Bullpen in the 1960s, Jim Henson Studios during the Muppet Show era, and... I'd better stop before this turns into a "Five for Friday" list. SPURGEON: Given your work at the museum and the making of this book, can you name a couple of books about comics -- art books or otherwise -- that you admire or would recommend and why? FARAGO: I'm at my parents' house in Ohio right now, otherwise I'd walk over to my bookshelf and rattle off a much longer list than this, but I'll give it a shot. I'm asked for "how-to" recommendations pretty often, either from parents of school kids or from young artists, and I keep going back to the same artists over and over again. 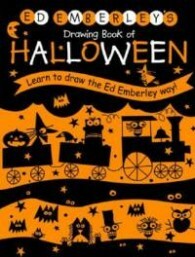 For really young artists, I think you can't go wrong with Ed Emberley. Most advanced artists I know would benefit from re-reading his books, actually. I'm riding a 15-year undefeated streak in Pictionary thanks to the shorthand I learned from his books as a kid. For everyone in high school on up, I've lost track of how many times I've recommended Understanding Comics. Shaenon and I have gotten to know Scott pretty well over the past decade, and I'm glad that he's such a great guy. Same with Will Eisner and Comics and Sequential Art. It's a lot easier to recommend books when the people behind them are stand-up guys. For the established artist who's prone to the occasional bout of writer's block or fear of stagnation, Matt Madden's 99 Ways to Tell a Story: Exercises in Style is absolutely essential. If I'm wrestling with a storytelling decision, I pull that one off the shelf. Or one of Eddie Campbell's Alec books. I'd make those required reading for everyone in comics if I could. Along those lines, I'm a sucker for any comic strip collection that features running commentary from the artist. I learned a lot about cartooning from The Calvin & Hobbes Tenth Anniversary Book, The PreHistory of the Far Side, and Backstage at the Strips, which is probably the granddaddy of them all. I've never found one of these collections that I won't read cover to cover, and I'm glad that a lot of my favorite contemporary strip cartoonists, including Richard Thompson and Keith Knight, have done books in this format. On a sheer artistic level, I've got dozens of books I'll pull off my shelf when I just want to be knocked out by a brilliant artist. To pick a few random ones, I'll mention Love and Rockets and Alex Toth's Zorro as books that I'll check out when I want to see artists who can just plain draw everything. Gene Deitch's Cat on a Hot Thin Groove and Terr'ble Thompson are masterpieces in minimalism. 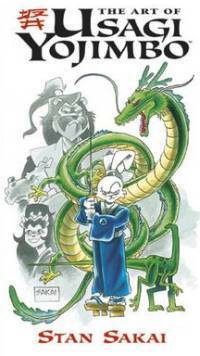 Stan Sakai's The Art of Usagi Yojimbo is a great reminder of just how talented Stan is, and how effortless he can make cartooning look. Roger Langridge and Kyle Baker fall into that category, too. And I worship Harvey Kurtzman. I've read every Kurtzman book on my shelf a dozen times over. On the painting and illustration side, the way out-of-print Totoro Forest Project catalog and the Japanese import The Colors of Mary Blair are two of my favorite books, but I had a hand in both of those, so I'm not exactly impartial there. If we ever do this again, I hope you'll just ask "What original art do you have in your own collection? ", so I don't find myself looking back at the list and thinking about the 20 other artists (like Jack Kirby, Steve Ditko and Walt Kelly) that I should have mentioned. SPURGEON: Something I always wanted to ask you: How much does making your own comics help provide with you a perspective on the creative act in the course of your museum work? 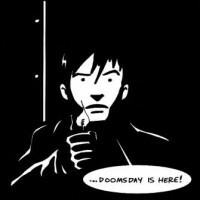 How has making your comics had an impact with your writing, both comics and otherwise? FARAGO: I graduated from Colorado College with a B.A. in Studio Art, so I came into this job with a solid background in painting, illustration and art history, which has been a big help. For starters, being able to talk to artists with some degree of knowledge about what they do and some personal experience makes them more confident about dealing with the museum. Shaenon says that artists love me because I can not only ask informed questions about Secret Wars II but that I'm asking because I genuinely want to get the answers. My job's been a big help and a big hindrance to my own creative projects. As I said, during a really hectic week, I might put in 50 or 60 hours at the museum or doing museum work at home, which doesn't leave a lot of time for writing or drawing. If I've got a paid assignment and a deadline, I'll make myself work, but it's harder to motivate myself on open-ended projects. I usually feel like the laziest cartoonist alive at home, since Shaenon is always drawing. She draws at home, she draws when we go out to dinner, she sketches on the train into work... I'd be ten times as prolific as I am if I worked as hard as she does. Fortunately for me, some friends of mine and I formed a group called The Couscous Collective, and we've started self-publishing anthologies for our appearances at APE and Stumptown, so I know I'll produce at least a couple of comics every year. I've got a few ideas that I'm hoping to start on next year, and if nothing else, I might re-launch my webcomic The Chronicles of William Bazillion. That was a fun project for me, by the way. I'm not sure how it holds up, since I've never re-read it, but I was basically doing an evil Jonny Quest/Richie Rich story, not planning out anything at all, and just drawing enough every week to build up to a cliffhanger that I'd build off of the following week. It's probably unprintable as it is, since the story meanders all over the place, page breaks would be really tough to figure out, and the quality of my lettering varied wildly from one stretch to another... but I had a lot of fun doing it, and forcing myself to at least hit a weekly deadline was really beneficial to me as an artist. In the year since I've put the strip on hiatus, I've discovered The Venture Bros. cartoon, which I absolutely love. It riffs on a lot of the same source material, so I'll be hyper-aware of that when and if I get back to those characters. When I'm writing comics for other people, I thumbnail everything out first, and finished dialogue comes second. Actually, the words and pictures come almost simultaneously when things are really clicking. I'm sure that some comic book writers can't draw at all, but I couldn't imagine writing a comic without knowing what the artist has to go through. I've only written a handful of comics stories professionally, but my very first, co-written with Shaenon, was a Fantastic Four story drawn by Roger Langridge, which meant the story was going to look great whether or not our script was any good, and that took a lot of pressure off of us. Another reason that comics and other writing has always only been a sideline for me is that because of my job, I'm in contact with editors, publishers and cartoonists all the time for Cartoon Art Museum business, and I've got to balance doing what's good for the museum and doing what's good for me personally, and making sure that I'm not doing anything that would compromise the museum's or my integrity. At conventions, if I'm exhibiting as a museum representative, then I'm there to work on exhibitions, not to pitch Wolverine stories. I don't want to call up a publisher one week to hit them up for exhibition sponsorship, then call up the next week to see if they've had a chance to look at my portfolio. I generally manage to get just enough side projects to keep busy, but I'm hoping that the publication of The Looney Tunes Treasury will add to my workload in the coming year. I had a blast writing for the Marvel Holiday Specials three years in a row, but that was a couple of editorial changeovers ago, and whenever people ask me what it was like to write for Marvel I feel like Crash Davis. But heck, I've written Daffy Duck, Spider-Man and the Fantastic Four professionally, so I've got no room to complain. SPURGEON: You and Shaenon settled into your new home this year, which is a remarkable thing given the vagaries of the comics business in all its various aspects. Are you positive about where things are going generally? Do you foresee full-time employment from comics over the course of your professional lives? You work at a slight remove from the rest of the various comics industries, is there something you've noticed that's either encouraging or particularly discouraging? FARAGO: The one upside of the economic meltdown of recent years is that the housing market in the Bay Area briefly got so bad that Shaenon and I could afford a nice house in Berkeley. 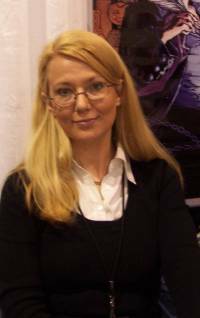 Seriously, I've never been able to put away a lot of savings from my job, but as a freelance editor for Viz Media, Shaenon spent a few years editing every single title that was offered to her. 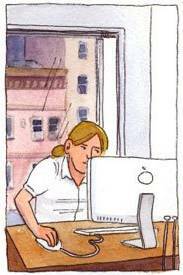 She was especially prolific during the one-year break she took from writing and drawing a daily comic strip, so we were able to save a decent amount of money, and we were conservative enough with our investments that we didn't lose too much during the stock market's downturn. Finding a good accountant is something that every cartoonist should do, by the way. The money we spend on yearly consultations with him is nothing compared to how much he's helped us out financially. Taking the plunge and putting a huge chunk of our savings into a house was one of the scariest things we've ever done, but a year later, I'm really glad that we did it. We're in a great neighborhood, we've got more a lot more space than we did at our old apartment, and our monthly mortgage isn't much higher than our rent was in San Francisco. I wake up some days and feel just like Gladstone Gander, honestly. One last fun fact about the house is that it was in pretty rough shape when we bought it, and when I was still on the fence about buying it, I told my pal Al Gordon, who's got a studio right around the corner from the museum, that although I grew up with a father who was a general contractor back in Ohio, I didn't know the first thing about finding one in California. Al said, "Mario's a contractor." "How long's he been doing that?" "Since Love and Rockets #3." I'd met Mario a few times before and gotten along really well with him, and after we showed him the house, got an estimate, and made him talk to my dad on the phone for a couple of hours, we hired him, and I can't imagine finding a more appropriate person to help us with our home. As far as the future goes, I'm thankful every day that I'm getting paid to do something I love. On the other hand, I've always, always been a worst-case scenario planner, and I've got a half-dozen backup plans in mind if and when things go wrong. As a kid, I'd lie awake in bed formulating escape plans in case of fire, tornadoes, monster attacks, nuclear war and pretty much anything else that could go wrong, and that's carried over into my adult life in a variety of different ways. When I order food at a restaurant, I have my second and third choices in mind in case the first thing isn't available. In the current economy, I've seen dozens of people lose their jobs or get cheated by clients or have projects canceled on them unexpectedly, so I'm not taking anything for granted. California's state budget is the shakiest it's been since I moved here, and I'm not confident that the arts will be a high priority if it's a choice between having schools, having roads, having electricity or having culture. If I found myself out of work tomorrow, I'd make an aggressive push to get more freelance assignments, I'd put together an art portfolio and try to hustle up some commission work, I'd poke around the non-profit sector, and I'd probably look into getting formal accreditation toward teaching. Maybe I'd write a nice tell-all book about my days at the museum. During previous budget shortfalls at the museum, when closing seemed like a real possibility, I figured the comic book industry would always be around as a fallback plan, but when venerable shops like Comic Relief and Al's Comics are in crisis, and when the direct market can't support books like Thor: The Mighty Avenger, it makes me really nervous. On the encouraging side, interest in comics is really high, across the board. Kids who visit the museum love comics, public awareness is at an all-time high, and family and former classmates come out of the woodwork every year now to ask if I can score them tickets to Comic-Con. When the media covers comics, they no longer feel an obligation to spend half the article explaining that comics aren't only about superheroes or funny animals. Shaenon noticed that when Sarah Glidden's How to Understand Israel in 60 Days or Less was included on Entertainment Weekly's top ten non-fiction books of 2010, the words "comic" and "graphic novel" were completely absent from the review (and I credit Alison Bechdel's Fun Home for permanently establishing the "here's a brilliant, must-read memoir that just happens to be a comic book" category). The most discouraging trend is that although comics are reaching new readers in a big way thanks to digital distribution, the industry's having a hard time reaching new customers. Everybody wants to read comics, but not everyone can or will pay for comics. I worry that the generation that's grown up always having an Internet, as well as those of us who've been online for close to two decades already, have a total disconnect from the notion that people who create content deserve to be compensated for their work. Heck, there's even a disconnect from the notion that people should be properly credited for their work, which might be even more troubling. Not to beat a dead horse, since I've been arguing with people about online piracy for years, but it depressed me to no end that a wonderful, intelligent, passionate creator like Colleen Doran could write a fairly innocuous article asking that people respect the rights and integrity of artists, and to, you know, not steal copyrighted material from them and harm their ability to make a living, and that she'd be met with vitriol, threats, hackers attacking her website and people who stole her work actively encouraging other people to "boycott" her comics. All that from just expressing her preference that people pay for her printed work and to please visit her website to read the large amount of free work that she's made available online in the hopes that she can generate some amount of ad revenue. I know I've used the word "disconnect" a lot here, but I think that people honestly don't think of this work as being created by actual artists, and that it's harder than ever for these people to make a living doing the thing that they love. I think there's also some misconception that once you've been published somewhere, you're set for life. You can spend years knocking out a 200-page graphic novel, and if you're lucky, and assuming you don't have a runaway hit on your hands, you might parlay that into one-quarter or one-third of your annual income. Hell, Harvey Pekar was a regular presence on network television and had a critically acclaimed movie made about him, and he still kept his day job until he turned 65. And I'd bet that guy from The Jersey Shore made more money off of his book than Harvey did from 30 years' worth of American Splendor comics. As a group, comic creators are about the last people you'd feel good about ripping off. It's such a tough way to make a living, and I wish that more people would respect that. SPURGEON: I wanted to pick up on a couple of earlier comments before we broke this off. As you note it's been a couple of years since Rod Gilchrist passed away and I'm not sure he got his full due. I don't want to place that on your shoulders in some holiday interview, but could you talk about his specific contributions, and how you feel about his professional role now that there's been some time to place that into context? FARAGO: Rod Gilchrist was brought on as the museum's Executive Director in the late 1990s, and knowing what I do now, I'm surprised and very grateful that he took the job. The finances were a mess, the board of directors was full of well-intentioned people who really didn't have the practical experience necessary to run a museum, the roster of exhibitions was a really mixed bag, including shows by miscellaneous friends of board members... Not that they weren't doing some things well, but there was a lot of room for improvement. Rod gradually cleaned house on the board, and brought museum founder Malcolm Whyte back in a more active role. He hired Summerlea Kashar and brought in Jenny Robb, who's now poised to take over for Lucy Caswell at Ohio State University, as curator. Rod had non-profit management experience, he had gallery management experience, he had a very talented partner in Maryann Fleming, the Executive Director of San Francisco's Portola Family Connections, and he was a talented artist and musician in his own right. He revamped the whole operation more than once, and from what I've heard, the museum would have gone under ten years ago if he hadn't taken charge. From a personal standpoint, I'm very grateful that he took a chance on hiring me on full-time nine years ago, and that he took the time to train me and teach me what I needed to know to do my job. Jenny Robb gets a lot of credit for that, too. Without Rod there wouldn't be a Cartoon Art Museum today, and there probably wouldn't have been one by the time I moved to San Francisco in 2000. With no museum, I wouldn't have my job, I wouldn't have gotten all of the great opportunities I've had over the past decade, and I probably wouldn't have met Shaenon, so that puts him on the short list of people who've had the most influence on my life. Rod's legacy is felt at the museum every day, honestly. The relationships he established with individuals and foundations throughout San Francisco are a big part of what keeps us going. Many of the board members he recruited became key players in our growth over the past decade. The educational programs he instituted are a major part of our development plan over the next decade. Take him out of the picture, and I'm probably working an office job somewhere and daydreaming while looking at those "Draw Tippy the Turtle" ads. Do they still run those? SPURGEON: Either those exact ads or something extremely close to them, I imagine. Hey, you dropped mention earlier of a few of your and Shaenon's Mr. And Mrs. Zelig-like appearance in various cartooning inner chambers and special circumstances. I'm tempted to ask you about the Simpsons table reading, as that's more recent, but I really want to know about your encounter with Hayao Miyazaki -- a Mt. Rushmore animator and a fine comics-maker besides, a Hall Of Fame cartoonist by any measure. Is there a cocktail party -- granted, this would be a super-nerdy cocktail party -- story of that encounter? FARAGO: I'm glad you put it in those terms, because I usually describe it as my ultimate Comic-Con drinking story. As long as John Lasseter and Stan Lee aren't at the bar, that's my trump card when the "coolest thing I ever did" stories start flying around. 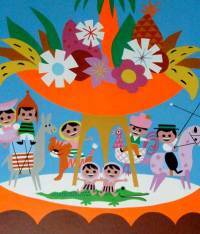 It all started when Shaenon and I co-curated a Cartoon Art Museum exhibition called The Art and Flair of Mary Blair, featuring the Disney concept artist, best known for her work on the It's a Small World ride. We worked closely with Mary's son, Kevin, and put together a nice collection of her Disney work and her personal work, with a selection of pieces from her husband, Lee, and his brother, Preston, who literally wrote the book on animation. Animation historian John Canemaker graciously allowed us to borrow the title of his book on Mary for our exhibition; everyone we approached was very cooperative and very excited about seeing Mary get her due. A lot of the work that we displayed had never been shown publicly, and I think that Shaenon and I were the first people to really make an exhibition pitch that appealed to Kevin. Anyway, word spread among the animation community about the exhibition, and we had a regular stream of notable visitors, including a lot of artists from Pixar, located in nearby Emeryville. We held a reception a few weeks after the exhibition opened, and that's when I first met Pete Docter, the extended Blair family, and CAM board member (and longtime Pixar employee) Michael B. Johnson introduced me to Dice Tsutsumi, Ronnie Del Carmen, and Enrico Casarosa, who were planning an art auction for something they were calling The Totoro Forest Project. The auction was to raise funds for the preservation of Japan's Sayama Forest, which inspired Miyazaki to create My Neighbor Totoro. I was basically on the fringe of the core steering committee, offering some practical advice about art shipping, a handful of suggestions about artists to invite, and making arrangements for the follow-up to the auction, an exhibition at the Cartoon Art Museum. The largest exhibition we've ever hosted, actually, spanning three galleries and about 200 pieces. Exhibiting the work after the auction allowed those who didn't attend the gala fundraiser to see all of the works in person, promoted the cause for about five additional months, and let us do a little bit of additional fundraising while the works remained on display. Backing up to the Mary Blair exhibition, one of our visitors during the show's run was Studio Ghibli president Koji Hoshino. Either Pete Docter or Michael B. Johnson called and asked if I'd give him a tour of the exhibition, so I cleared an afternoon to walk him through our galleries. I told him some of the stories I'd picked up from Kevin Blair, and he had a lot of thoughtful questions about the art, Mary, and the Blair family. Hoshino-san was very pleasant and charming, and when we parted ways at the end of the tour, I figured that was probably the last I'd see of him. 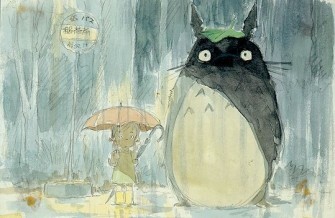 As the exhibition was nearing its conclusion, Kevin called to let me know that representatives from Studio Ghibli had contacted him, and I think they may have even visited him on that first trip to northern California, and that they wanted to mount a large-scale exhibition of Mary's work in Tokyo. Since I had a lot of practical museum experience and Shaenon was really knowledgeable about Disney history, he wanted us to help facilitate the exhibition. The Cartoon Art Museum show had been forty-something quality pieces, but the Tokyo show would be about ten times bigger, and would include the entire Blair family collection and a large amount of work from the Disney Animation Research Library. Sadly, Kevin passed away not long after our exhibition wrapped up. His cousins, Maggie and Jeanne, broke the news to me about a month after he died. They inherited his collection, and graciously kept me and Shaenon on as facilitators for the Japanese exhibition. They speculated that Kevin may have known that he wasn't in great health and that may have prompted him to work with us when he did, to help his mother's legacy, but I guess we'll never know for sure. Anyway, after several months of preparation, the artwork was shipped to Japan, and Shaenon and I were contracted to act as couriers for the art. I'd actually never handled this aspect of shipping before, and it involved us riding in a large, air-conditioned transport and supervising giant wooden crates being packaged at a warehouse on the outskirts of the San Francisco International Airport. From there, we went to the airport, checked in, and found out that we'd been booked on super-executive business class, which got us access to a really nice airport lounge where they fed us and attended to our every need, and that was followed up by the most high-end, relaxing flight we've ever had. Honestly, if that had been the sole perk of this experience, we'd probably still be telling stories about that. In addition to Ghibli, I should mention that the exhibition was also sponsored by the Tokyo Museum of Contemporary Art, and, more importantly, by NHK, one of their major television studios. They put us up in a great hotel, too. The whole experience was quite a change from working for a small non-profit, where we have to watch every expense and go out of pocket on plenty of things that we probably shouldn't. So, our first visit to Japan, I spent a lot of time in the air-conditioned lower levels of the Tokyo Museum of Contemporary Art (TMCA), unpacking, examining, counting, and doing the most meticulous record keeping I'd ever encountered. They took great care of us, though, answering all of our questions about Tokyo, taking us out for meals, and even scoring us tickets for a Yomiuri Giants game at the Tokyo Dome. Shaenon knew a lot about Japanese culture from her years at Viz and had picked up just enough really, really basic Japanese that she could get us around the city, and it helped that almost everyone working with us from Ghibli, NHK and TMCA knew a fair amount of English. The city's got the most well-organized, most intuitive public transit system I've ever encountered, too, so we were able to get around pretty easily, too. On the final day of that trip, we had pretty much the best workday of all time. In the morning, we set out for the Studio Ghibli Museum, where we spent an hour or two checking out their exhibits and just soaking in the whole experience. Most of the visitors were Japanese, and a lot of them were families with young children, but people from all over the world had made it into a sort of pilgrimage. The architecture, the design, the content... again, just going to their museum made me feel like I was part of some Make-A-Wish Foundation program. We had lunch back in the kitchen area, away from the general public's dining area, and they showed us a wall that had been signed by all the major VIPs, like George Lucas, Steven Spielberg, John Lasseter, Nick Park, Pete Docter... I'm pretty sure Moebius had signed it, too. After lunch, we visited the Ghibli administrative offices, where our contacts at the studio worked. Highlights of that included seeing a dismembered giant stuffed Catbus head and paws, taken from a decommissioned Catbus that had once been used in the play area at the Ghibli Museum, and visiting the rooftop, which was covered in a living grass lawn as a symbol of Miyazaki's commitment to nature and the environment. Just in case there were any animation fans still reading this who don't completely hate us yet, we went to the Ghibli animation studio itself after that. The building itself is fairly non-descript, and would blend right into most college campuses. Dozens of animators were all working together in very close quarters, creating hand-drawn animation, painting backgrounds, and coloring cels on state-of-the-art computer equipment. I'd never seen anyone do anything on a computer as fast as their artists were coloring characters onscreen. They were working on The Borrowers at the time, and gearing up for the American release of Ponyo on the Cliff by the Sea. We saw Miyazaki's desk at the office, and probably the most telling detail of that is that it was smack dab in the middle of the other animators' desks. He works right alongside everyone else when he's onsite, although that afternoon we'd been informed that he'd already gone home for the day. We wrapped up at the studio and our guide and interpreter, Kenzo, walked us along a quiet road behind the studio and showed us Miyazaki's pride and joy, a preschool/daycare that he'd built onsite. I think that the students are all or mostly the children of Ghibli employees, but I'm not sure if we got clarification on that. Kenzo informed us that Miyazaki's philosophies on childhood were seen as somewhat controversial in Japan, and his example was that Miyazaki believed in letting kids just be themselves, play as they see fit, and that they should use a real hammer and nails if they want to learn how to build things. Our guides agreed that it was a pretty radical approach, especially when compared to their own childhoods. After we spent some time watching kids at play, Kenzo walked us over to Miyazaki's atelier, his personal home away from home at Ghibli. Parked in front of the house was Miyazai's car, which looked straight out of The Castle of Cagliostro. Kenzo then took us up to the house, and somehow it never occurred to me that Miyazaki's car was parked in front because Miyazaki himself was in the building. If anyone ever wants to throw a surprise party for someone who honestly and sincerely won't see it coming, I'm your man. Kenzo knocked on the door, it opened, and suddenly we were face to face with Miyazaki himself, wearing a big grin and a custom-designed work apron featuring the dust sprites from Spirited Away. We managed to blurt out something about it being an honor to meet him, shook hands, bowed repeatedly, and then he produced a cassette of Run-D.M.C. 's Raising Hell from his apron, turned on his boombox, and busted out some of the dopest breakdancing moves I've ever seen. Well, no, not really, but at that point I wouldn't have been surprised by anything. What actually happened was just as incredible, as Miyazaki invited us to join him for tea in his dining room. We accepted, bowed nervously again, and shot each other that "no one's ever going to believe this in a million years because I'm pretty sure I don't believe it" look. I'm not sure how much English Miyazaki-san speaks, but our entire conversation with him took place through Kenzo. I remember Miyazaki saying that he'd wanted to thank me for my role in The Totoro Forest Project, and also mistakenly thinking that he'd met me before. He talked about the project and the environment, then he started talking about family. He discussed some of his child-rearing philosophies, recommended that we start having children as soon as possible, and suggested that Japanese families could be really close again if the washing machine were abolished, since people would have to spend more time together doing laundry. Throughout our tea, he insisted that we should feel free to interrupt him, or to ask him any questions, but really, we were just so awestruck that there was no way we were going to say anything as long as he was in a talkative mood. Another guest dropped in for a visit, which cut ours a little bit shorter than we'd have liked, but again, it's not like I can really complain. Shaenon had the presence of mind to ask if he'd mind posing for a quick photo as we exited, and that's given us a great story that we'll be able to tell for the rest of our lives. We posted the photo on Facebook shortly after we got back to the U.S., and my inbox immediately filled up with messages from friends who wanted to know the whole story. My oldest brother wasn't quite sure who Miyazaki was, and my niece said "he's Japan's Walt Disney," which is probably the best four-word summary of his career to people who haven't seen his films. We went to the Stumptown Comics Festival a few days after we got back, and one thing I took away from that was the realization of just how big Facebook had gotten. Ivy Ratafia, Scott McCloud's wife, had a million questions for us, and Kurt Busiek and Larry Marder were with her, and they wanted to know about the trip, and I think at least a dozen people, ranging from close friends to people I don't think I'd met in person, were asking questions about it. Like I said before, the perks of this job have more than made up for whatever money I've missed out on by working in the non-profit sector. And if anyone wants to hear about my trip to Fox Studios to see a Simpsons script read-through, track me down at a convention sometime. I'm usually working at least five of them a year, so I'm probably already in your city anyway.